Buying the correct swing and/or bouncer for your baby can save you a lot of time on trying to find an entertainment for your baby. Let’s face it babies don’t really allow us to get things done around the house. Simply because they require all of our attention at all times. Finding a swing or bouncer that will entertain them while we manage to get away for a few minutes is a life saver. A baby swing is a great idea if you want to entertain your baby, get things done and watch them all at the same time. With a portable baby swing or bouncer you will be able to take it everywhere around the house and even outside if you wanted to do so. It has been shown that a good baby swing will not only entertain your baby but show them how to focus on one thing at a time. A good focusing toy can distract your baby while you get some work done. Here are the best baby swingers and bouncers on the market. Moms love products that do more than one thing and this is it. This is a dual purpose product as it is a swing. Not only that but it can also be converted into a bouncer as well. It comes with 6 speeds. The different variations when it comes to the speeds allow you to change them up whenever you feel the need to do so. By switching the speeds at different timing, you will be able to discover which speeds soothe more your baby and which do not. Not only will your baby enjoy the different speeds on the swing. But the seat is removable so it can be transformed into a bouncer. Once it’s transformed into a bouncer, your baby will be able to bounce on it for entertainment. 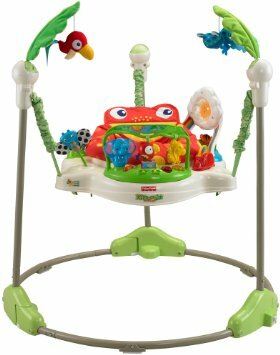 This swing and bouncer set is portable so you can take it anywhere you wish to do so. 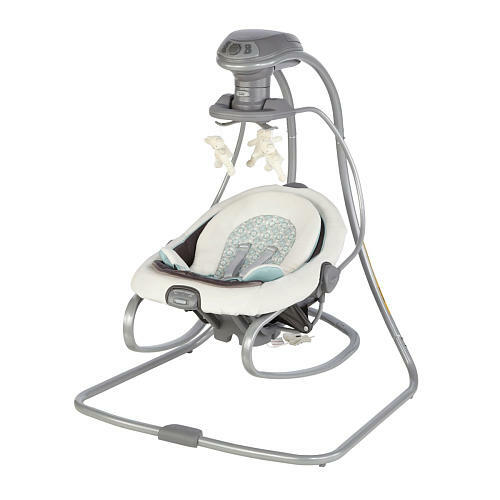 Soothe your baby wherever you go with this portable 4 in 1 rock and glider. You will be able to comfort your baby anywhere you may need to. You can take this baby soother around your home. When you are busy, doing laundry or even cooking dinner. You can even take it with you to any family event. This baby rocker was intended to mimic the feeling of a baby being cradled. Baby’s love the feeling of being held and cradled by their loved ones. This is the reason why this rocker has 4 different speeds. To give your baby the notion that it is being soothed, cradled, rocked and comforted all at the same time. If you are going out and need a place to put your baby to sleep all you need to do is adjust the seat. It will instantly transform into a cradle as well. Finding a product that does more than one thing is an excellent way to minimize on essential products that you need for your baby. It will also help you find great products that are portable. 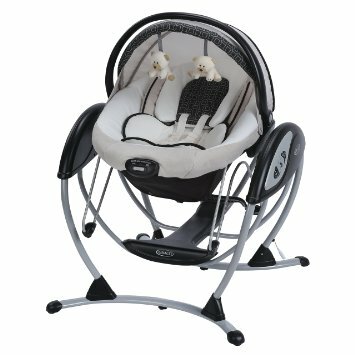 This two in one swing and rocker is oe of tho baby essential producs you are sure to enjoy. 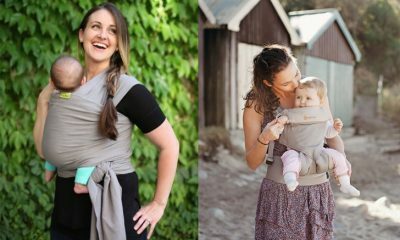 It will soothe your baby while you get things done. It comes with 3 motion settings. Where your baby can swing from side to side or back and forth. It comes with two options you can either plug it in an outlet or use batteries instead. Giving you the option to take it with you anywhere you intend to. It even features vibrations to furthermore soothe your baby and make him or her feel comfortable enough to want to take a nap. This is the perfect baby swing when you want to have a swing that will fit anywhere around your home. This swing is compact in size which makes it easier to be carried around and fit into any area that you would need it to. This baby swing also doubles as a baby bouncer as well. It is a two in one product that is convertible. 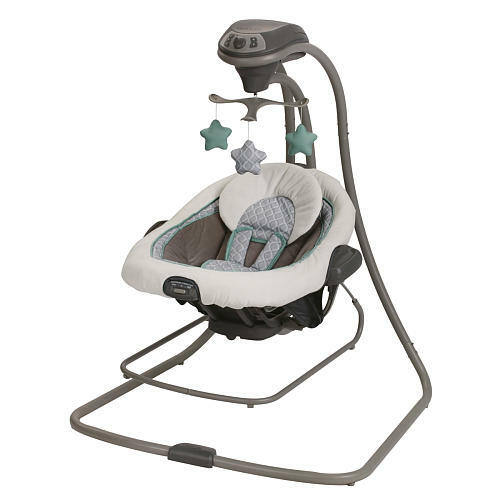 The baby swing includes a 3 position reclining and a 6 position gliding motion. 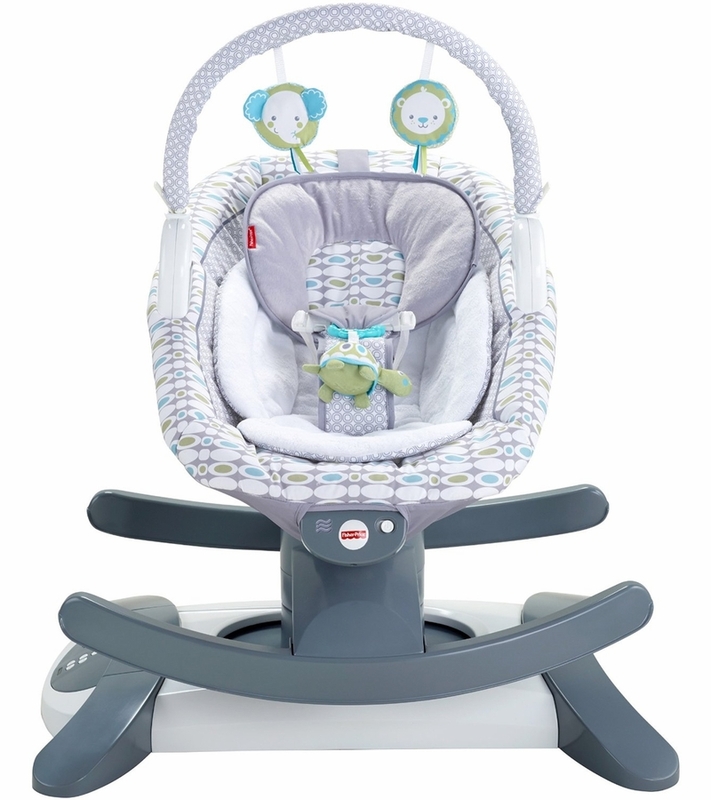 You are able to customize the movement of the baby swing to you and your baby’s liking. With this customization your baby will always feel comfortable and relaxed. Every time it is on the rocker or bouncer. You can transform this swing into a bouncer by simply removing it from the swing mount. Best seller on the market! The perfect baby entertainer is here. This baby jumper is the ultimate learning and entertaining bouncer for your baby. The chair is safe and secure so you know you will not have to worry about a thing while your baby is interacting in its jumperoo. The chair moves as your child does as well as allowing them to work their leg muscles as well as stretch their upper body. 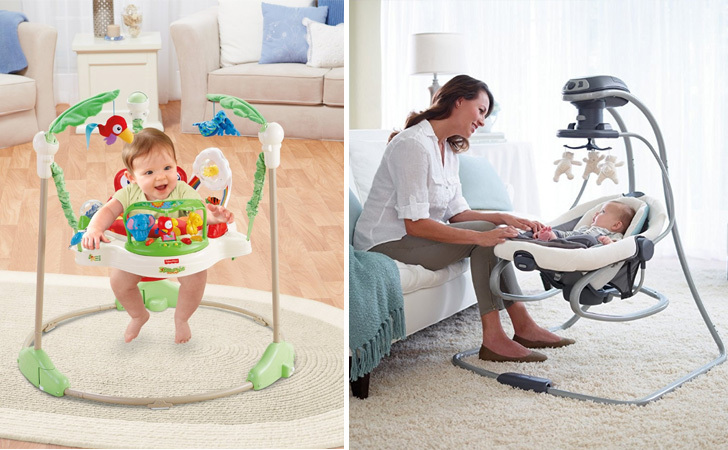 Your baby will be able to move, spin and jump for an interactive time while you get to get things done. As moms we know how difficult it can be to find an educational and entertaining toy that will keep them occupied for a while. This is jumperoo will do just that and be safe for your baby. By using our guide you will be able to take the guessing game out of finding the perfect bouncer for you and your child. These are the best baby bouncers and swings in the market right now. Please tell us which bouncer you would recommend other moms in the comments below.